Could someone direct me to a device that has at least two temperature setpoints - allows you to set the time each setpoint is active? There are some very inexpensive devices available even on Amazon - "programmable thermostat outlet" customized the temperature at a selected time...but takes the temperature readings from the room. Buy one, open it up and solder on a thermocouple that can live within the tank? And there's plenty of wired thermostats, but they all maintain a single setpoint. The only timers I know of need continuous power to function--so it's not as though one could just plug the timer into the thermostat...and the heater into the timer. I'd like to create a naturalistic leopard gecko 40 gallon enclosure that has deep substrate, is heavily planted, and has a ceramic emitter over a rocky area. Thanks! I was absolutely sure there had to be something. As in nature...daytime temperatures are different from nighttime. Particularly so in arid climates. As a noob - I guess what surprises me the most is that only the top end hobby devices have the ability to create a day/night dual temperature approach. And as I browse threads and available information there's a staunch defense of 24/7 heating. Clearly it's a successful approach as it's in use so frequently--I just thought there's at least a hint of irresponsibility in this method as a default. And that the hobby-grade electronics would not support it. But you need to be over the $100 mark to get a day/night option. The device linked above is $200. Have done some more shopping around in the consumer electronics sphere to see what options exist there. My initial searching was showing "thermostat outlets" without a wired thermocouple. They either had a stubby one ~1" long, or one presumably embedded inside of the device. It's the smart home concept particularly that's putting a wealth of consumer options out there that do things for humans that are the same as the things we humans would want to do for the environments we are creating in our animal enclosures. --The idea that things turn on/off on demand / on a schedule is the simplest concept. This concept is currently running about $10-$20. --The idea that things are proportional output [dimmed] on demand / on schedule is running in the $40 range. --The idea that things are controlled within a set range and this range can be modified is a niche already filled by the humble household thermostat--though we're adding an additional concept that we don't want to know about the GENERAL environment but rather a specific point via a probe...and there are a couple options here that include a remote probe [apparently thank the beer brewing or seed starting folks], it would seem unlikely that human environments would ever be monitored using a cabled probe but maybe hubs and remote sensors to customize each room would be a concept that catches on...and MAYBE those remote sensors would be small/rugged enough to be placed into an enclosure? In any case, there's options in the $30 range. There's a few threads I'm trying to tease apart. 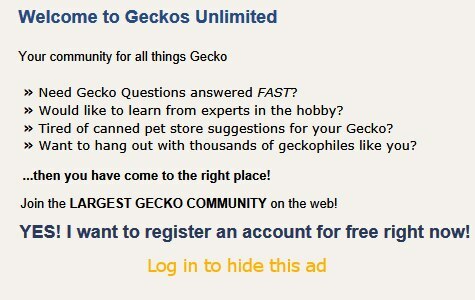 First, being prepared--I don't want to buy a gecko and then stumble through the next steps. I want to be ready [knowledge and supplies] prior. Second, on the knowledge front to separate fact from fiction. Exposing a desert animal to nighttime temps in the 90s just seems like a combination of a hardy animal and a cheap pet-store electronic. Could this really be ideal? Third, regarding supplies - if I'm in need of a small ceramic heater and a light for plants what do I really need? Pulse vs. proportional dimming? Some background. When I set up my aquarium there were two options I was really interested in. A beamswork LED fixture because it was cheap and bright enough to grow plants [no CO2 injection] but not so much as to fear an eternal struggle with algae. Or a Finnex 24/7 CC that allows adjustments of the light color and intensity throughout the day (or at least in 3hr blocks). I went with the beamswork LED at 1/3rd the cost. $60 vs $180. But EVEN THAT $45 light is a specialty aquarium hobby electronic. The add-on timer is only $15. But it sticks off the opposite side from where the power cord is. Because of how my tank is situated that means I can't hide both. It's constantly lit with a decently bright blue LED. One could think of it as a nightlight that shows me the time. And its only function is to set the time that the white/red/green LEDs are on and the time that the blue LEDs are on. For $20 more than that, I could have had an outlet that turns a light [any light--although for the light itself there's literally no cheaper option than the beamswork] on dim enough that I'm not growing algae but bright enough that the fish are awake and active throughout the day with maximum brightness during the morning and evening times when I'm home and interacting with the aquarium. It would continue to work with any light fixture I ever buy--and wouldn't be suctioncup'd to the side of my tank with a bright blue LED When I bought that light I didn't know about the annoying proprietary connection, thick cable, and bright LED. I just thought that a daytime mode when I wanted it and a nighttime mode (which is a pretty gross saturated blue) would be an acceptable $120 savings over a high amount of customization--given that the light output would be similar in intensity and overall temperature color. But an infinitely adjustable ramp timer that plugs into the wall? That would be a lot better. Simple, functional, and cheap are why I'm usually looking outside the hobby first for any concept. At least their feeding needs are pretty different as I'm rarely consuming fish flakes or crickets! Last edited by Jedijon; 01-07-2019 at 07:01 AM.